If you just want a new Gmail account but don’t want to miss emails? If your current Gmail account is running low on storage, you can consider using a new Gmail account to back up your existing emails and then delete the bulk emails from the primary account to make space. No problem. 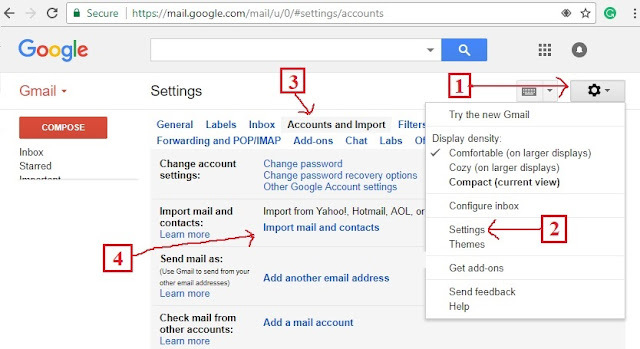 You can move all your mail from one Gmail account to another. First of all, you need to create a new Gmail account for backup. Step 1: Log in to the account from which you want to import mail. Step 2: Click the Settings gear icon in the Gmail account’s toolbar. Step 3: Select the Accounts and Import tab and choose Import Mail and Contacts. Step 4: In the pop-up window, specify the email address of your existing @gmail.com account from where you wish to import the messages into the new account. Sign-in with your credentials. Step 5: Now allow the ShuttleCloud app to access your Gmail and Google contacts data. Step 6: Once the authentication is successful, click the “Start Import” button to begin the migration. After all the emails are imported, you’ll find a new label in your new Gmail account that imported emails. Note: After the migration is complete, you can revoke access to the service for that visit myaccount.google.com/permissions. The authentication happens via Google OAuth so you don’t have to share your password again anywhere.